Nuevo Vallarta, Punta de Mita and San Blas may be the best-known destinations within the Riviera Nayarit, but truth is, we have a lot more to share! We want you to fully experience just how incredible and fascinating this destination can be, so we’re going to reveal the Top Five Best-Kept Secrets of the Amazing Riviera Nayarit, because our experiences are one of the many luxuries we offer. Come live them with us! Do you like shrimp? Then come enjoy the traditional dishes of the island of Mexcaltitán, located only 34 kilometers northwest of Santiago Ixcuintla, about four hours by car from Nuevo Vallarta. This picturesque island is also known as the cradle of Mexico’s identity. The traditional dish par excellence is the Taxtihuil, a meal based on shrimp in mole sauce, as well as the cucaracha shrimp. They also prepare shrimp tamales, tortillas, empanadas and pâté. La Patrona Polo Club in San Francisco is about an hour away from Nuevo Vallarta. It is without a doubt one of the best-kept secrets not only in the Riviera Nayarit, but also in all of Mexico. Among its many offerings is an Equestrian Center with stalls for 60 horses; arenas for jumping and dressage; a training area and a vaulting arena. Professionals offer lessons in Polo, Riding, Jump, Dressage, Horseback Riding, Endurance Riding, Vaulting and Horseback Pilates. The Club also offers Equine Therapy, Driving, Carriage Rides, Stable Boarding, Grooming and Training. And as if this weren’t enough, the club is home to Song Shan, a “great-grandchild” of the legendary Secretariat. Titis Restaurant is located in Jarretaderas. It isn’t easy to find because it’s not exactly a well-known tourism attraction—basically it’s semi-hidden in this village near Nuevo Vallarta, just five minutes away by car. We suggest taking a taxi, though if you have a car you can follow the signs to Jarretaderas. Once you arrive, the locals will be happy to point you in the right direction. Titis is a traditional restaurant serving seafood and fish: very rustic, very affordable and very, very good. Don’t miss out on the Manta Ray Tacos, the Octopus a la cucaracha and the Shrimp a la diabla. Playa Careyeros is not an easy beach to find, but it’s one of the prettiest in the area. It boasts fine white sand and tranquil sky-blue water, an oasis that invites you to come spend some time and meditate on your surroundings. It’s located between Punta de Mita and Litibú and it’s well worth the trip! Nature lovers and birdwatchers must visit Isabel Island, one of the main nesting areas for marine birds in the Pacific Ocean region. It’s justly considered a sanctuary: in 1980 it was declared a National Park. 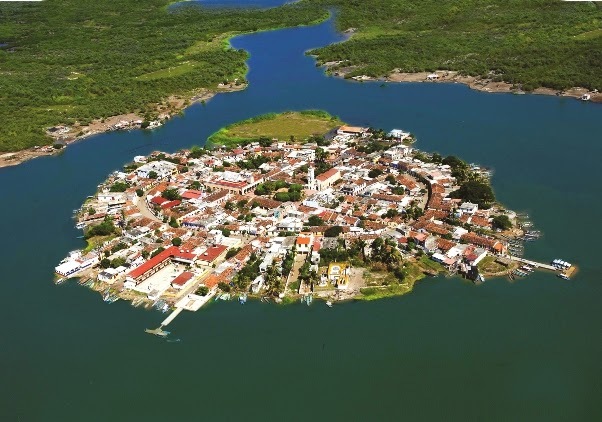 The island covers 194 hectares and is located across from the Santiago Ixcuintla municipality. You’ll be able to observe endemic species and dozens of migratory birds that only come to reproduce. It’s a must for birdwatchers and we suggest a tour with a specialized guide. Isabel Island is located some 4 hours from Nuevo Vallarta.